For decades, the discourses about ICTs have been dominated by the paradigms of virtualization and immateriality. Aimed to question those paradigms, the present text deals with the infrastructures of the digital, meaning the material-physical elements that support the current electronic networks and digital communication systems. These material elements are revealing themselves as increasingly important to fully understand the digital culture and its political and social consequences. Thus reflecting upon them has become an important task in theory – particularly for scholars within the fields of sociology or media theory – but also in practice. In many cases, this task of practical reflection is carried out by media artists that critically engage with visualizing this usually invisible infrastructures, as well as the political and ethical issues they involve. So, in the next pages we will discuss different possible dimensions of the relationships between the digital and its material infrastructures, showing how artists are approaching the same. First, we will briefly contextualize the topic by looking into some theoretical concepts and positions related to the so-called Materialist Turn. Then we will move into the discussion of the infrastructures of the digital trough artistic examples, selected according its ability to display the complexities of these material issues. In this section, we will approach different topics and aesthetic strategies that artists have used to make visible different kinds of invisible infrastructure behind digital communications. Finally, we will put forward some conclusions about the infrastructures themselves and the role of media arts in their understanding. As Nathalie Casemajor mentions in her article ‘Digital Materialisms’, probably nowadays, the more commonly shared idea about what is the digital, deals with images and data that magically light up in front of us, as we just press a button or brush our finger upon the surface of the increasingly ubiquitous screens that surround us. Of course, we know that it is not magic; we even have a certain idea of how the digital works, which involves considering hardware and software as its material components. Nevertheless – as Nathalie Casemajor points out – for decades, the trope of immateriality colonized our imagination to the point where we came to believe that computing exists beyond the material world. According to Casemajor and quoting Shawn Rosenheim, since the telegraph, electrical media have raised this fantasy of immateriality, with a quite metaphysical promise: "by annihilating space and time, it allows humankind to escape physical limitations. The power and ubiquity of electricity are metaphorically attached to a newly disembodied consciousness" . This idea of the electricity as capable to dissolve matter into pure consciousness was already developed by Marshall McLuhan in the 60’s. According to him, electricity is the "ultimate medium", an extension of the Mind, source of one single collective conscience . Casemajor also remembers that the so-called Cyberculture as linked to Cyberspace and Cyberpunk, partially lost sight of the physicality of digital media in the 1980s and 1990. As we have explained in another article , the word Cyberspace was first introduced within the 1980s Cyberpunk culture by author William Gibson when, in his 1984 novel Neuromancer, he defined it as that famous "consensual social hallucination". However, the term only acquired its current popularity after A Declaration of the Independence of Cyberspace by John Perry Barlow was published in 1966. It was a manifesto focused on highlighting the civil liberties related to technology and the ethical-political logics that should govern Internet uses. But on it, Barlow applied the term Cyberspace to "the new home of Mind", to the "social global space" that emerged from the Internet . Thus, according to Casemajor, this approaches to cyberspace grew an image of the same as an ‘immaterial data simulated environment’ where, besides, the body as a material instance, remains obsolete . However, Casemajor continues her explanation mentioning precisely how "also since the 1980s, swelling criticism against the idea of immateriality led various authors to propose new theoretical models that could take into account the materiality of digital computation and communication networks" . Since this moment, and particularly since the 2000’s, the interest in the materiality of the digital has grown, to give rise to what has been labelled as a ‘Material Turn’ both in sciences and humanities. In William T. J. Mitchell’s words "the age of disembodied, immaterial virtuality and Cyberspace is upon us, and therefore, we are compelled to think about material objects" . In particular, this material approach to the digital media considers not only the materiality of the digital itself, but also the dynamics of matter and the non-human agency. Of course, as Casemajor also mentions, this paradigm shift in approaching the digital is quite heterogeneous, and has been developed according to different research streams, which are expressed with different labels, such as new materialism, speculative materialism or realism, object-oriented ontology or actor-network theory. Besides, it comprises several approaches - focused on politics, labour, environmental issues, etc. - and different objects of study: "They embrace both the material substrates and abstract programming languages required for data storage, processing and exchange: code, hardware devices, operating systems, software, applications, platforms, interfaces, documents, file formats as well as networking protocols and - of particular interest for our argument - infrastructure" . Analyzing each of these streams and objets of study would go beyond the aims of this article. But just to clarify its meaning, we could say - also with Casemajor - that "the key argument of digital materialism is that there is no pure information: code is inscribed; bits are written. Furthermore, the resources of computation are limited in terms of processing power, storage capacity and connectivity; its signals are prone to degradation, its devices to decay and toxicity"  From a more general point of view, according to Kessler, the materialist approaches deal with a material understanding of digital artifiacts that situates them ‘in a dispositif that comprehends the dynamic connections between discourses, social appropriation, and technological design" . Therefore, is in this context of the "Material Turn", and returning to Casemajor’s definitions, where we can place the recent awareness of infrastructure as the material subtract of the digital. But, what do we mean by infrastructure? Following Susan Leigh Star, we mean what the every dictionary-reading person would think about the word infrastructure: "a system of substrates, that is roads, railroad lines, pipes and plumbing, power systems, and communication networks; wires, signals and dirt" . According to her, one of the main characteristics of the infrastructure is its transparency, that is, the fact that it is invisible, ready to hand. She uses the example of turning on the faucet for a drink of water. In this case, we use a vast infrastructure of plumbing and water regulation without usually thinking much about it. However, it only becomes visible when it breaks down. Of course, we can apply the same logic to the infrastructures of the digital. When we send a message with our smartphone, we rarely think about all the material elements involved in the process, from microprocessors made of silicon or other raw materials that come from mines in Africa to submarine cables or cell towers scattered through landscape, not to mention the materiality of maintaining those towers or even the materiality of the invisible particles - atoms and electrons - that come into play when we touch the screen and create an input in our device. Just in the case of a black out, or maybe in the case of line overloading, we become aware of these infraestructures. Precisely, both materialist studies and, particularly, infreaestructural studies, try to de-naturalize the digital medium and its infraestructure. Therefore, being aware of materiality and infrastructure means to question their transparency. The question about digital devices and networks becomes: How do they work? Bot not only how our devices work in computational-material terms, bur also: where do the components of the media infrastructure come form? and where do they go? Where do the devices and networks get their power? If data and information are material, if they have matter, where are they? 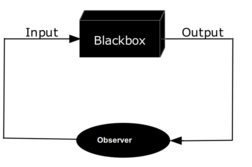 Definitely, this idea of the infrastructure awareness can be grasped trough the metaphor of opening the ‘black box’. For instance, Bruno Latour in his works Pandora’s Hope and On Technical Mediation, expresses how technological (and scientific) devices work as black boxes, within which we are unable to see what happens and to grasp the complex processes that occur inside. Thus, we can say that, up to certain extent, approaching the material and infrastructural dimensions of the digital, to be aware of these elements, means to open the black box of our daily interactions with technology. Therefore, to move into the discussion about the infrastructures of the digital, we will see now how artists have opened this black box, revealing particularly their political concerns . For that scope, we will focus on three main topics: Visualizing the material infrastructures; Environmental Issues and Data Quantification. The issue of visualizing the material infrastructures of the digital has to do, actually, with the spatial distribution of the network infrastructures, and both the local al global contexts they are linked to, which involve political matters. According to Casemajor, the interest on this topic grew from Edward Snowden’s revelations, "which brought to light the reliance upon the Internet submarine cables for state surveillance apparatuses and the material site of data traffic interception" . Therefore, both the geographic localization of data storage centers and the political economy of cable infrastructure, became the target of several researches, not only for journalists or scholars, but also for media artists. The data storage centers, usually called "Server Farms", are the places where data are physically saved and they also one of the best examples of how this date have an absolutely material substrate, as we might see. They are located in buildings, which are usually surrounded by very strong security regulations imposed by the companies. This security measures have been the main topic of the work Farm, a project developed by the Irish artist John Gerrad. Interested in how the Internet looks like, in 2014 Gerrad asked permission to Google to visit one of the eight vast server farms that the company owns around the world, the one located at Oklahoma, USA. After their denial of permission to visit the Farm or even to picturing the outside of the building, Gerrad hired a helicopter and developed a photographic survey of the site. Then, he produced a video work that, in his own words "features a simulated twin of the squat building flanked by diesel generators and powerful cooling towers" . In fact, the movie shows a hyperrealistic virtual portrait of the farm, a digital sculpture that we can see in 360º trough the very slow motion of a steady virtual camera . Other artists such as Yann Mingard, Timo Arnall or Matt Parker have also approached the topic of server farms, by actually showing the insights of these kind of sites. In 2012, Swiss artist Yann Mingard was allowed to photograph the Swiss Fort Knox - Mount 10 in Switzerland, an extremely secure server farm located inside a mountain, which companies and governments use to store classified files. In his series Deposit Data Mingard portrays the wires, rock walls or metal doors that conform this quite sinister industrial complex . "The film reveals the hidden materiality of our data by exploring some of the machines through which the cloud is transmitted and transformed.The film explores these hidden architectures with a wide, slowly moving camera (…) What we find, after being led through layers of identification and security far higher than any airport, are deafeningly noisy rooms cocooning racks of servers and routers. In these spaces you are buffeted by hot and cold air that blusters through everything. Server rooms are kept cool through quiet, airy plenary corridors that divide the overall space. There are fibre optic connections routed through multiple, redundant, paths across the building. In the labyrinthine corridors of the basement, these cables connect to the wider internet through holes in rough concrete walls. Power is supplied not only through the mains, but backed up with warm caverns of lead batteries, managed by gently buzzing cabinets of relays and switches. These are backed up in turn by rows of yellow generators, supplied by diesel storage tanks and contracts with fuel supply companies so that the data centre can run indefinitely until power returns. The outside of the building is a facade of enormous stainless steel water tanks, containing tens of thousands of litres of cool water, sitting there in case of fire. And up on the roof, to the sound of birdsong, is a football-pitch sized array of shiny aluminium chillers that filter and cool the air going into the building. In experiencing these machines at work, we start to understand that the Internet is not a weightless, immaterial, invisible cloud, and instead to appreciate it as a very distinct physical, architectural and material system" . The British artist Matt Parker also explores these issues, but he reveals the materiality of the infrastructures by using the sound as his medium. In his project The Cloud is More than Air and Water he explores the acoustic ecology of several data centers in the UK. Recording the steady noise of the machines that run Internet, and editing them in several clips, Parker tries to highlight the physical nature of ‘cloud computing’. As he had stated in an interview, his aim is to "remember people that whilst their phones might be sat silently in their pockets, somewhere out there, a huge hive of hard drives and fans is spinning around frantically; managing our digital identities" . Shawn Rosenheim, The Cryptographic Imagination: Secret Writing from Edgar Poe to the Internet, Baltimore, Md. : Johns Hopkins University Press, 1997, as quoted in Nathalie Casemajor, "Digital Materialisms: Six Frameworks for Digital Media Studies", Westminster Papers in Communication and Culture (WPCC), Special issue on ‘The Internet and the Material Turn’, 10.1 (2015). M. Luisa Gómez, "Cyberspace: An Approach from Spatial Praxis", in Bauman, Sabine (Ed), Cybercultures. Cultures in Cyberspace Communitites, Oxford: Inter-disciplinary Press, 2012. It is possible to find this manifest reproduced in many web sites. Here, we have referred to ibliblio, The Public's Library and Digital Archive, which shows the complete declaration that Barlow posted on the Internet on February 8, 1996, the day after the Telecom Reform Act of 1996 was signed into law. John Perry Barlow, Cyberspace Independence Declaration. Frank Kessler, "Notes on dispositif", 2006. As quoted in Marianne van den Boomen, Digital Material: Tracing New Media in Everyday Life and Technology, Amsterdam: Amsterdam University Press, 2009, p. 10. Although we are considering here the idea of ‘opening the black box’ as a metaphor for the de-naturalization of the infrastructures of the digital carried out by artists through creative strategies, it is interesting to mention that this idea has been also develop by several artists to reflect about the concept of ‘black box’ as applied literarily to computers or other technical devices. As a very ironical example, that deals with the question about how machines work and with the relationship between human and non-human, see the project Hi by Multitouch Studio (Barcelona). For more details about the work and the research process see: Jonathan Jones, "Where the Internet Lives: the artist who snooped on Google’s data farm" in The Guardian, February 4, 2015. For more pictures of the project see also Gerrad’s Website. More information about the work and pictures can be seen at the artist’s Website. More information about the company and the farm can be seen here. More information about the work, pictures and trailer of the video at timo Arnall’s website. "Guest sound: What does cloud computing sound like? ", in Cities and Memory, April 28, 2014. More information at: Brian Anderson, "This Is What The Internet Sounds Like", The Creators Project, May 5, 2014 and Matt Parker’s Wesibte. About this topic, see also Parker’s documentary-project The People’s Cloud.